We hold all the top certifications…for only the best auto repair shops. Lifetime Warranty on all body work. 2 year warranty on mechanical repairs. Get major savings with our Car Care Club – Ask us How! 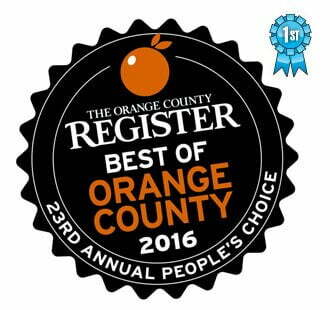 5 consecutive years Voted OC’s BEST. We will pick you or your car up and drop it off when it is ready. For longer term repairs, we have auto rental onsite with special rates only for our customers. We hold all the top certifications …for only the best auto repair shops. 6 months no interest financing through Car Care One credit card (6 months same as cash, with qualifying credit). Drop off available evenings and weekends. Over 20 years serving Orange County customers with complete auto services, maintenance and full body shop repairs. We work on all makes and models and accept all insurance carriers. Absolutely love this place!!! I’d recommend A-Z to everyone! Very trustworthy and great service!! They have gone above and beyond for me numerous times. If anyone needs a good mechanic I suggest you go to A-Z !! !